Simply input your bets and check their status real time! 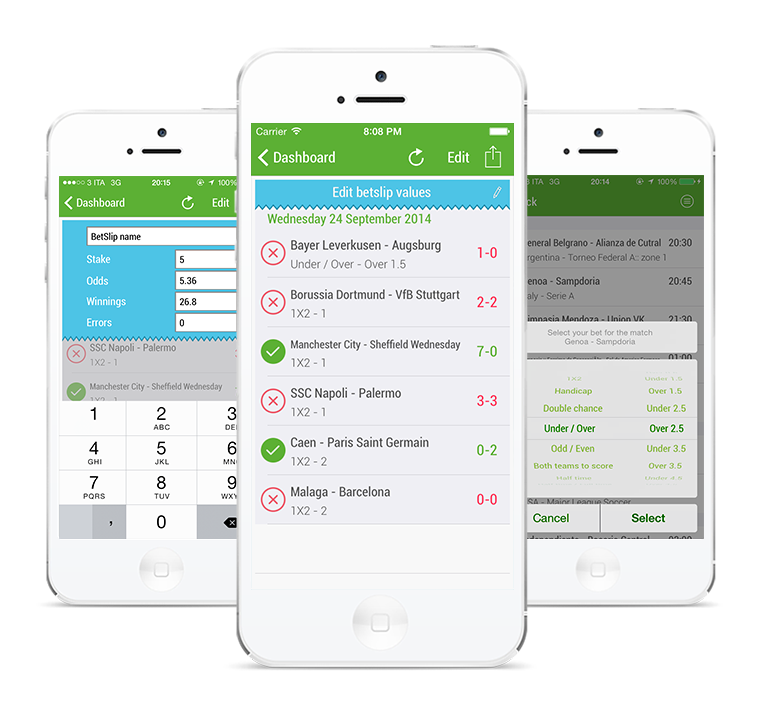 Live scores updated every minute from all the leagues from more than 90 different countries. You can select your bet between all popular markets of major bookmakers, even combined bets. Want more Bet Types? Contact Us below! The interface has been totally redesigned to be as simple as possible. For each game individually you'll know immediately if you are winning or losing your bet – or if you already have. ...and much more coming soon! Simply input your bets and check their status real time. For each game individually you'll know immediately if you are winning or losing your bet – or if you already have. Share your betslips with your friends via message or the major social networks! Keep informed about the best offers from the major european bookmakers so you will not miss their great bonus. With our new technology your betslip are stored on the cloud and you can access to them on any device at any time. The feature you always asked for! Receive a push notification whenever a goal make you win or lose a bet, more push events coming. Statistics and report of your betslips, balance and much more! "Cool app I ve been looking for months such app. Can add your betting choices and creates a virtual coupon. Never foegeting what you bet. Hope to add more choices soon and auto refresh or notifications on goals." George G.
Interested in collaborating with me? Write me a message on any social network! 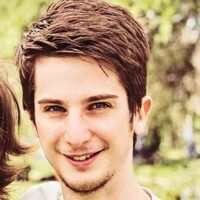 Lorenzo is a 26 year old developer, graduated in Computer Science at "La Sapienza" University of Rome, then Graduated in "Computer Security and Resilience" MSc at the University of Newcastle (UK). Now living in Rome and working as freelancer mobile developer.